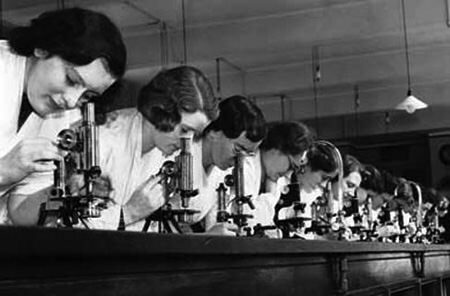 "X Minus One: Dr Grimshaw's Sanitarium"
Science is the systematic process of discovering and organizing knowledge about nature and the world we live in. Many of the technological advances and wonderful inventions which have made the world a better place to live in are based on knowledge gained by scientists. One of the most marvelous inventions of the Twentieth Century was the radio and broadcasting technology which resulting in the commercial radio industry that created the programming for the Old Time Radio era. On a philosophical plane, defining science can be seen as a quest for true and verifiable facts, but there is more to science than simply listing fact. Scientists must overcome more than simple ignorance, but prejudice and sometimes superstition as well. On the surface, the knowledge gained by science is neither good or evil, but the uses that the knowledge is put to is rarely so cut and dried. Ethical considerations are key to stories of "mad scientists" in science fiction, but those concerns also raise their heads in situations of military security, especially at the beginning of the atomic age in the post-War period when many of our favorite radio dramas were created. Science deals in hard facts, but the contribution of scientists can be hampered by their very humanity. This fact is not lost on John Krozer, the evil industrialist who puts a dying scientist in suspended animation so he can pick his brain in the future. Can Commander Corry and Cadet Happy foil his nefarious plans on Space Patrol? Academy Award Theatre presents an adaptation of the film The Story of Louis Pasteur. Pasteur was a pioneering French chemist who helped develop germ theory and its importance to sanitation and health. Research is the foundation of scientific discovery, and the basis of the Westinghouse sponsored Adventures in Research. The technology company was understandably enthused over the contributions of scientist-philosopher Roger Bacon, immigrant telephone pioneer Michael Pupin, and William Hyde Wollaston who discovered Palladium and Rhodium. Although many of his creations lie on the fantastical edge of gory science fiction, the creator of Arch Oboler's Plays also explored the divine nature of "The Truth" while researching the mystery of cosmic rays. The realm of magic is the last place we would expect to find an appreciation for the hard facts of science. When Blackstone the Magic Detective hears the pleas of an immigrant scientist on the cusp of a medical breakthrough, he knows he must help protect him from Nazi saboteurs. Science teaches us that we must accept what is obviously impossible, but that we should also keep an open mind. In "The Carmumian Return", Captain Starr of Space gets a visit from one of the greatest scientists in the solar system, a man who has been dead for 50 years! Although The Columbia Workshop primarily concerned itself with experimental techniques of radio drama, in "Electrical Demonstration" the program explores the contributions of electrical engineers and scientists. A network scientific consultant explains the technical efforts required prepare New York's Columbia Theater as a facility for broadcasting, including soundproofing and acoustical engineering. Later, a play is presented using parabolic microphones that can follow the actors as they move about the stage. 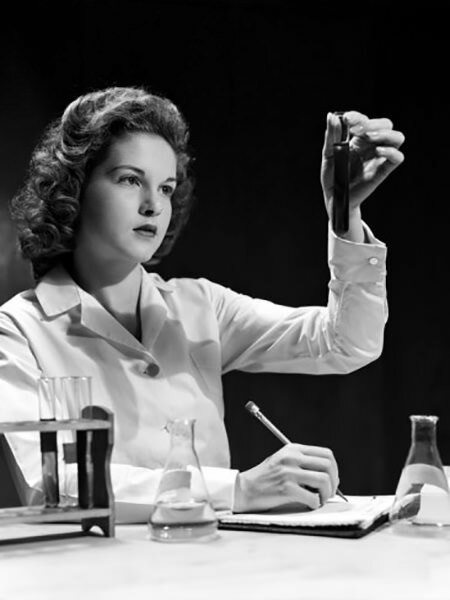 Science ultimately led to the dawn of the Atomic Age. The implications of these discoveries were not fully understood when Command Performance presented a send-up of "Superman" starring Bob Hope as the Man of Steel, Bela Lugosi as the evil Doctor "Bikini" and Sterling Holloway as his assistant Professor "Atoll". Counterspy must rescue a kidnapped atomic scientist in Switzerland. Steve Mitchell is sent to smuggle an atomic scientist out of the French Riviera on Dangerous Assignment. 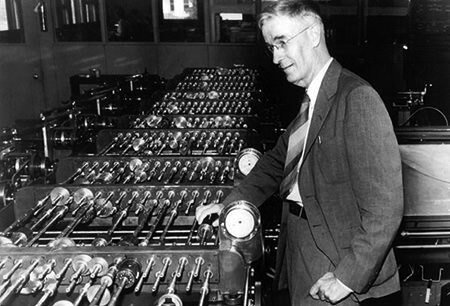 The computer age is one of science's latest achievements, but the devices were just beginning to be understood during "The Thinking Machine", a homemade calculator invented by a bank clerk. The "Imzac" can predict stock market prices as well as the clerk's work at the bank. In Green Hornet's "A Light in the Dark". A blind refugee scientist receives an operation which restores his sight but finds out the procedure was the gift of a Gestapo spy. Now, he is being forced to steal the secret plans for his patron, Professor Hall's invention. Before, during, and after the Second World War, considerable scientific effort went into aviation with the knowledge that whoever had the best planes would have a considerable military advantage. During the "Mystery of the Wailing Witches" serial arc, Hop Harrigan is imprisoned by a scientist who has developed a jet-powered flying wing. Walter Winchell reported in the December 19, 1948, edition of The Jergens Journal that former Nazi scientists working for Communist Russia have developed a new version of the V-2 guided missile that is so accurate it can be dropped in your front lawn if they have your address. The series from the Institute for Democratic Education, Lest We Forget, was dedicated to celebrating the lives and achievements of people who helped to create the sort of America we can all be proud of. Among the scientists profiled on the program were George Washington Carver, the former slave whose work in soil conservation helped save Southern agriculture, German-American anthropologist Franz Boas who helped refute Hitler's theories of racial superiority, and Dr. Louis Slotin, the Canadian immigrant who worked on the Manhattan Project, helping to assemble the first atomic bomb and who was killed in a laboratory accident when a chain-reaction began in mass of plutonium. Slotin disassembled the mass with his bare hands but received a fatal dose of gamma radiation. As the importance of science became more and more obvious in the post-War years, The Man Called X found more and more of his missions dealing with scientists and their discoveries. Ken Thurston gets the call when the data from an Arctic Expedition is stolen and one of the scientists murdered. In another adventure, he searches for an atomic scientist who goes missing in Switzerland and in yet another, a scientist working to discover a cure for radiation poisoning is murdered while doing field work in Japan. A well-produced biography of Madame Curie, the scientist who discovered radium, and one of Alfred Nobel, inventor of dynamite, are presented on Radio Readers Digest. Heavy water, like regular water except the hydrogen atoms in the molecules have a higher atomic weight, is used to control the ingredients used to create an atomic bomb, is one of the most precious liquids known to man. A scientist smuggles the European supply of heavy water out of Nazi territory in a beer bottle on Secret Missions. See also: Role of Science in War and Mad Scientists in Old Time Radio. Be the first to comment on "Scientists and Inventors"
Danger With Granger Worried Wife Scientist Fbi.